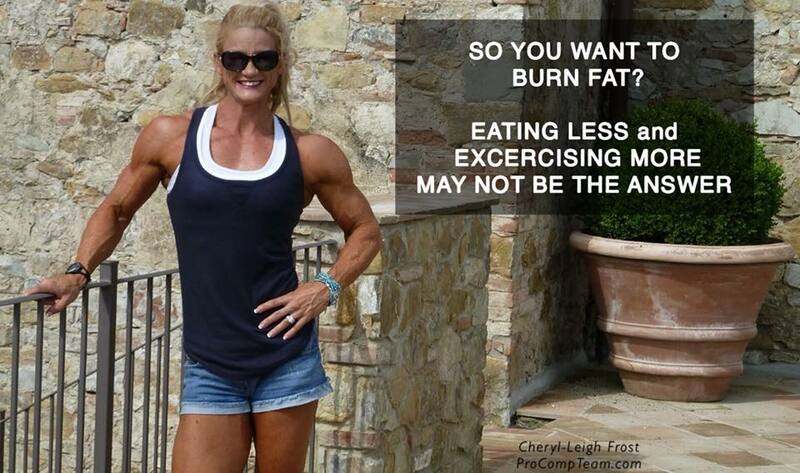 EATING LESS AND EXCERCISING MORE IS NOT THE ANSWER! How can one train so hard and eat so little yet get very little results???. The times that I’ve been so focused on getting lean that I’ve run myself into the ground, surviving on lettuce, coffee and hours of cardio…. and hardly achieved anything??. What? How does this work? WHY? Excessive cardio and too little food are stressful to the human body. Stress increases adrenalin and cortisol. This slows down metabolism and fat burning. WHY? The body adapts and it slows down its metabolism to avoid starvation. As a result, fat is stored in order to stay alive. WHY? Doing hours of cardio and eating very little can be a recipe for disaster. Hunger, tiredness, irritably and low energy start to consume every thought. A massive amount of willpower must be summonsed to fight hormonal hunger, insurmountable cravings and the feeling of needing to eat everything until full. This ultimately fails. WHY? Excessive cardio and low calories works short term… until the strategy stops working. When a new set point has been established on minimal calories and loads of exercise the dieter can get stuck. When low calories no longer work there is no where to go. WHY? Not eating enough food is simply not healthy. When essential nutrients aren’t supplied body systems start to become inefficient and eventually fail. WHY? Too much cardio increases estrogen and hormonal havoc pursues. Say “hello” to fat cells making thighs home. ¬ More food and not less food. ¬ Supported efforts and not forced efforts. ¬ A diet with carbs, protein and fats. ¬ Lean muscle rather than no muscle tone. Sample meal plans and other great information and ideas are included in this newly released E-book co-written by Blair Loveday and I. ← THE BIGGEST WEIGHT LOSS MYTH.